Neil Graham MacFarquhar has been the United Nations bureau chief of The New York Times since June 2008. 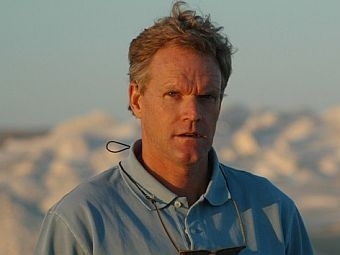 From November 2006 to May 2008, he was a national correspondent, based in San Francisco, for the Times. He was the Middle East correspondent for the paper, based in Cairo, from 2001 until 2006. MacFarquhar’s second book, The Media Relations Department of Hizbollah Wishes You a Happy Birthday: Unexpected Encounters in the Changing Middle East, is a journal of MacFarquhar’s experiences in the region, starting with his childhood in Col. Qhadafi’s Libya, and an assessment of the prospects for political and social change. The book combines aspects of everyday life with the stories of individual men and women working for a freer Middle East. He is also author of The Sand Cafe, a satirical novel about foreign correspondents mired in a Saudi hotel awaiting the start of the Gulf war and trying to either undermine or seduce each other as the war refuses to get underway. It was partly written during his recuperation from an accident where a runaway bus knocked MacFarquhar off his bicycle on Fifth Avenue in New York City. Congressman Peter Welch offers his solutions for ending the budget stalemate in Washington. Plus, VPR’s John Dillon provides analysis of the week’s news. And we listen back to the voices in the news this week. Alison Weir has stirred controversy for her work because she argues that the media have been biased in favor of Israel.